Face to face : ANSI B 16.10, ND-16/ ND-40. Additional features available: Gear operation, limit switch, electrical actuator, and position indicators. 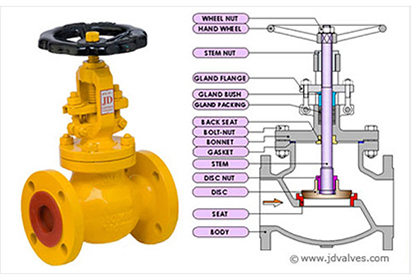 Angle type globe valve class- 150# & 300# available on request.